You are at:Home»News»2017 PMWX Awards: Shortlist announced! The shortlisted contenders across all nine categories have been announced! 2017 PMWX Awards: Shortlist announced! Ahead of the this year’s event, the 2017 Professional MotorSport World Expo Awards shortlist has been announced. As with every year, we have to thank our readers for the quantity and quality of nominations made for this year’s awards. In combination with our own suggestions, we feel that 2017 has been one of the most diverse, yet strongest years of recent time. 2017 has seen several championships undergo wide sweeping regulations changes, which have resulted in faster cars but much closer competition. In addition to this, the electrification of both road and competition cars continues apace, as represented by the increasing presence of electric technologies in the nominations. 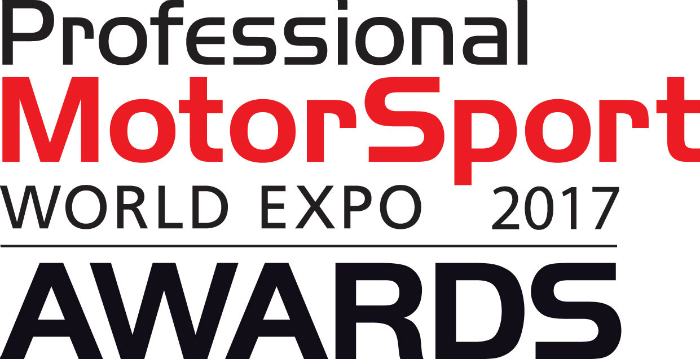 Celebrating the very best of all forms of motorsport, here is the 2017 Professional Motorsport World Expo Awards finalists. • Carl Faux, lead engineer, Team B.M.R. A new category for 2016, and back once again, the Outstanding Contribution to Motorsport Award honours those who have gone above and beyond what is required in this industry – often at great personal expense. The winners will be announced on November 15th; the first evening of the 2017 Professional MotorSport World Expo.